UAE-based MAG Lifestyle Development (MAG LD) is offering unprecedented offers to customers at its MAG EYE development featuring fully gated townhouse and residential community in Mohammed Bin Rashid Al Maktoum City in Meydan District 7, a prime location that is close to both Dubai International Airport and Downtown Dubai. In all, the gated community will feature 4,717 studios or one-bedroom apartments and 694 three/four-bedroom townhouses. MAG EYE’s competitive pricing means investors can achieve high return on investment and significant price appreciation in the coming years, said the developer in its statement. These priced apartments and townhouses in MAG Eye are now available for investors at even more affordable terms, stated MAG LD, the property development arm of MAG Group Holding. 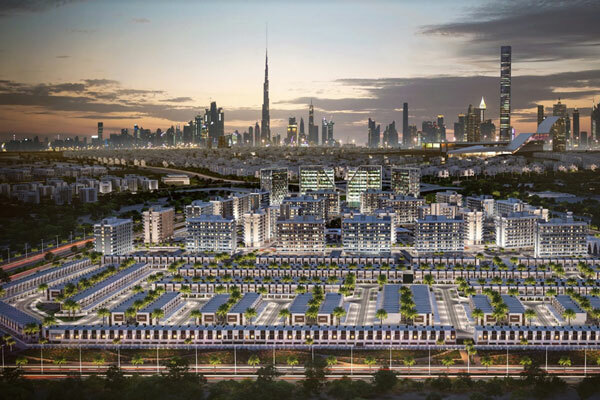 The Emirati developer said under the special offer, the townhouse customers will get an unbeatable value with free Dubai Land Department (DLD) fees upon purchase and benefit from zero down payment. With prices starting at Dh1.577 million ($429,287), customers can opt for an eight-year monthly payment plan with equal instalments to be paid 36 months during the construction phase and the rest in monthly instalments over a period of 60 months (five years) post-handover. Those who don't opt for the post-handover payment plan will get an additional 4 per cent waiver on DLD fees and service charge written off for 12 years, said the statement from the developer. With the new offer, customers of studio apartments, starting at only Dh475,000, now have the convenience of zero down payment and an attractive five-year monthly payment plan, it added. CEO Talal Moafaq Al Gaddah said: "MAG EYE is today one of the most sought-after residential communities in Dubai for its cost-competitive pricing for homes designed and built to world-class standards and set in a central location." "With the new offer, we are making residential purchase in Dubai more affordable for our customers and encouraging them to move from rental living to owned homes. The value-add for customers not opting for a post-handover payment plan is indeed significant as we are providing free service charge that helps customers to making incredible savings," he added. MAG EYE residents will benefit from access to a sports club, ladies lounge area, coffee shop, swimming pool, and dedicated children’s pool and indoor play area.